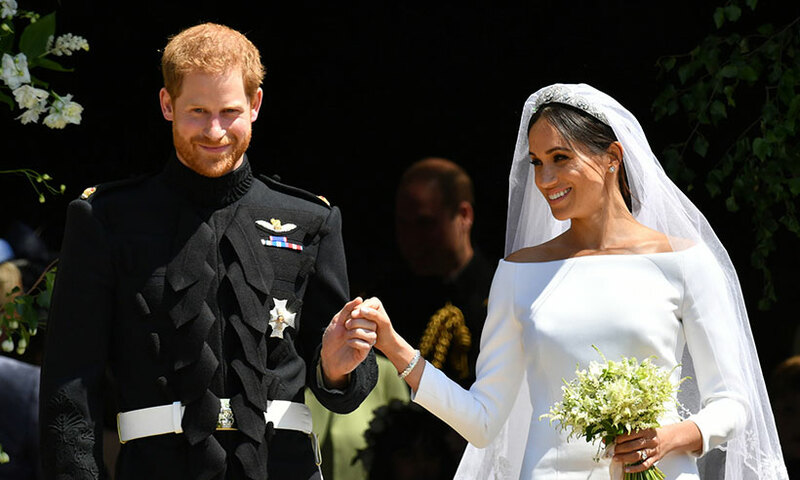 Shortly after their May nuptials, the Duke and Duchess of Sussex revealed that they were “overwhelmed” by all the kind cards and letters they have received. 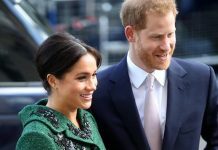 However, six months on from the royal wedding, well-wishers are still being sent their replies – with the Palace apologising for delay. 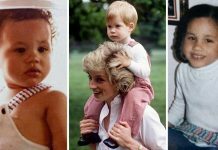 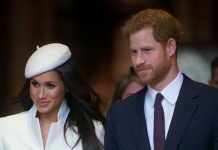 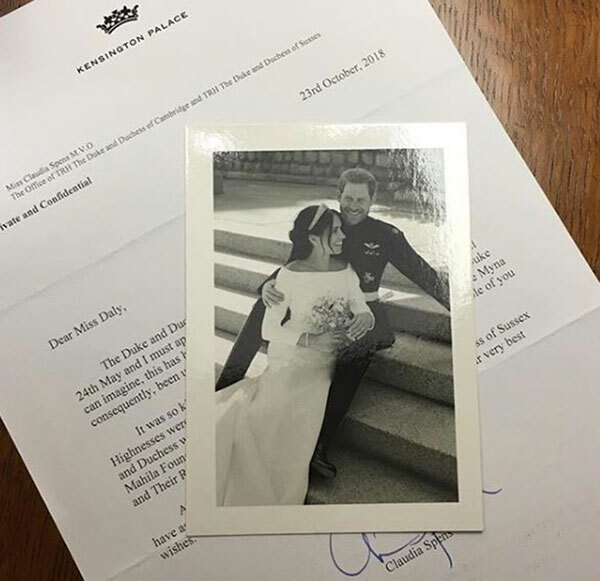 In a post shared on royal blog Gert’s Royals, Claudia Spens – who is head of the Correspondence Section at Clarence House – has been sending royal fans a separate note to explain the delay as well as thanking those who sent a kind donation to one of the charities Prince Harry and Meghan requested to donate in lieu of sending a gift. 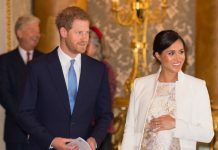 Explaining why the royal couple – who are expecting their first child in Spring 2019 – were unable to respond personally, Ms Spens added: “Although unable to reply to you personally, The Duke and Duchess of Sussex have asked me to send you their warmest thanks for your letter and their very best wishes.” Prince Harry and Meghan has thanked those who had given them a card by sending a lovely card featuring a beautiful black and white picture from the day, taken by official wedding photographer Alexi Lubomirski.